One of our popular classics; sweet and fruity. Our original Passion Fruit Mustard makes a great addition to sandwiches, burgers, or hot dogs (just ask the folks at Puka Dog). Add to coleslaw or use to top chicken or fish. 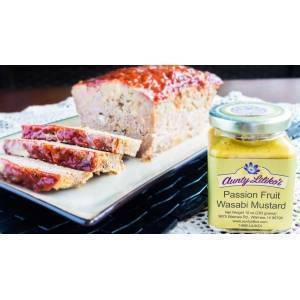 Passion Fruit Mango Chutney - Award Winner! Passion Fruit Syrup - Award Winner! Passion Fruit Wasabi Mustard - Award Winner! Passion Fruit Habanero Jelly - Award Winner! Aunty Lilikoi Products is owned and operated by the husband and wife team of Elpidio “Tony” Cardenas and Lori Cardenas. Located in historic Waimea Town on the island of Kauai, Aunty Lilikoi specializes in manufacturing and selling a line of desserts and condiment items, such as jellies, mustards, butters, syrups, dressings and sauces made with passion fruit. Also offered is a line of personal care products made with passionflower essential oil. 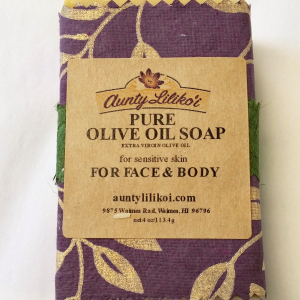 Aunty Lilikoi is a Better Business Bureau A+ rated company. The company also belongs to the Hawaii Food Industry Association, the Hawaii Food Manufacturers Association, the Made in Hawaii Association, the Retail Merchants of Hawaii, and is a charter member of the County of Kauai’s Kauai Made Program.